were amazing. If you were on decades ago it may bring back memories. sat but lost him. I told you this was interesting and really exciting. 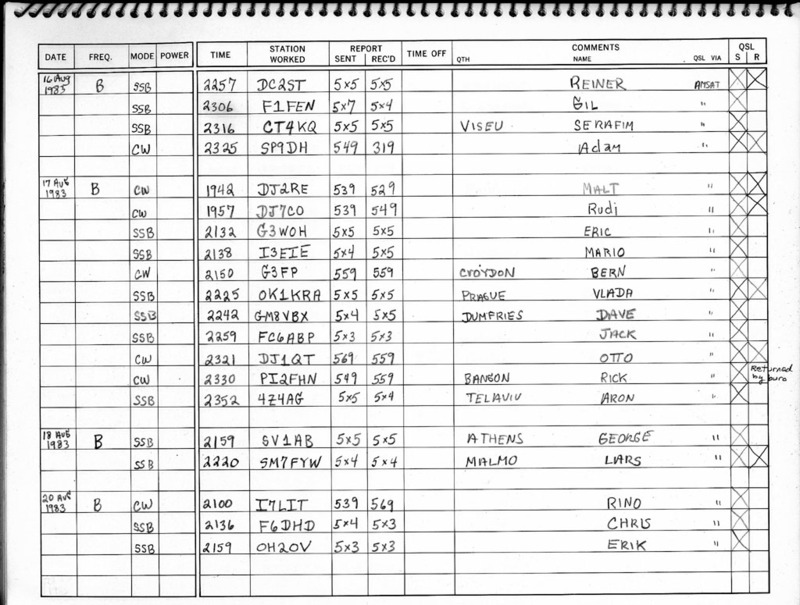 Thought I had better log the contacts and started looking for a logbook. pages left in the logbook so I am good to go. Hope to work you.